Scene framing is a very hard GM skill to master. Most GMs don't master it, because it requires a crack familiarity with the players at the table and their limits and preferences. It's a skill that requires you to be a little pushy. At the same time, scene framing is the most basic GM task. It's the first GM task you learn how to do in the "what is an RPG?" section of every rulebook. It's as simple as "the GM describes the scene to the players..."
Scene framing is basically pressing the Fast Forward button on game time. At its very basic level, scene framing is used to skip past boring stuff where there's no conflict or interesting opportunities, and arrive at the dramatic challenge. Dungeon Master (DM): After passing through the craggy peaks, the road takes a sudden turn to the east and Castle Ravenloft towers before you. Crumbling towers of stone keep a silent watch over the approach. They look like abandoned guardhouses. Beyond these, a wide chasm gapes, disappearing into the deep fog below. A lowered drawbridge spans the chasm, leading to an arched entrance to the castle courtyard. The chains of the drawbridge creak in the wind, their rust-eaten iron straining with the weight. From atop the high strong walls, stone gargoyles stare at you from hollow sockets and grin hideously. A rotting wooden portcullis, green with growth, hangs in the entry tunnel. Beyond this, the main doors of Castle Ravenloft stand open, a rich warm light spilling into the courtyard. Phillip (playing Gareth): I want to look at the gargoyles. I have a feeling they’re not just statues. Amy (playing Riva): The drawbridge looks precarious? I want to see how sturdy it is. Do I think we can cross it, or is it going to collapse under our weight? Skip over chunks of time where nothing interesting happens, and just narrate it to the players. So scene framing is the skill of using the Fast Forward button. But there's a lot more to it. The most important aspect of fast forwarding is trust. When the GM presses the fast forward button, she takes control of the players' characters. The D&D example, above, has the GM controlling the PCs for days of travel through the craggy peaks. The players must trust that the GM is going to treat their characters right while she has control of them. 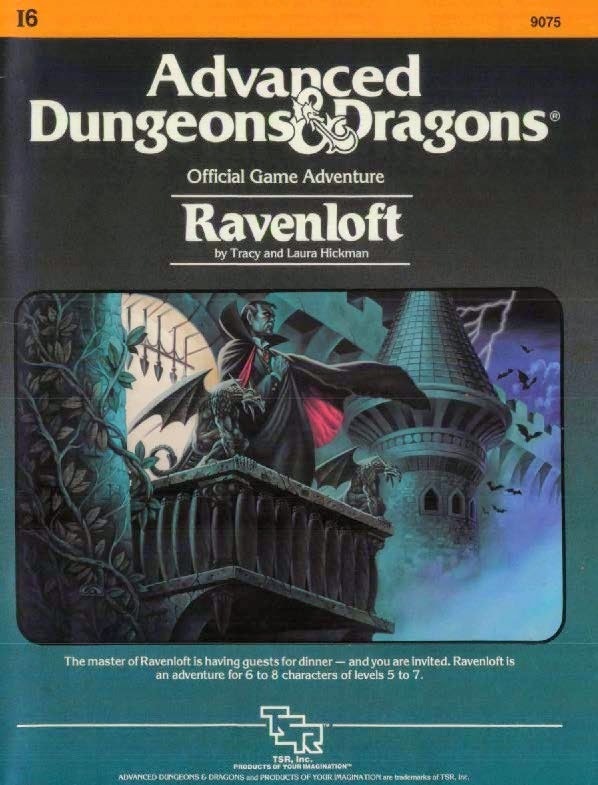 Dungeon Master (DM): ...Beyond this, the main doors of Castle Ravenloft stand open, a rich warm light spilling into the courtyard. Phillip (playing Gareth): No, no, no. We know we're approaching an evil castle. We would use stealth to approach the guard towers and make sure they're empty, so we don't get attacked from behind. Amy (playing Riva): Yeah, and maybe there's something in those guard houses we need. Treasure, or a key, or a monster we can interrogate for information. Phillip (playing Gareth): We approach the first guard house using the rocks and brush as cover, until we're just within bowshot. What do we see? Amy (playing Riva): -Woah! No way! We know we're approaching an evil castle on a mountainside. As soon as it's within view, we should double back and camp the night. No way we're approaching it with the sun down! And then I say we go cross country and come at it from the mountain slope behind it, instead of crossing that drawbridge, which is an obvious ambush point. Phillip (playing Gareth): Why are we even going here at all? This sounds like a crazy plan - just walk right into an evil Baron's castle? Let's rethink this. In the GM world, we like to call this behavior "turtling." Who presses the fast forward button, and what can be narrated by the GM (fast forwarded past) depends on the group of players, and how much they're willing to hand over control to the GM depends on how much trust they have in the GM as a co-creator of a fun story about their characters as protagonists. The more aggressive your scene framing, the more your players have to trust that you're not going to hit them with any "gotchas" they won't enjoy, and that you haven't skipped anything interesting or any opportunities to influencce events. Further, any time you fast forward and frame a new scene, it's your responsibility to help the players put their characters in the scene and give them important decisions to make. Scene framing can set the pace of the story, just like the other pacing techniques I've highlighted in the past. When you fast forward up to a point in the story, how close you get to the critical decisions the players have to make determines how aggressive the pace of your scene framing is. When the players move very cautiously, playing out their preparations up to the last minute before an interesting scene, they're turtling, and moving at a turtle's pace. This can get dull fast. See my post on turtling for some suggestions. My ridiculous third example would be an example of turtling. A simulation (sim) scene is designed to give the players a problem, and let them take creative approaches in a simulated environment in an attempt to solve it. Some groups have more interest in this sort of scene than others. Sim scenes can't be framed very tight -- the players need to see all the context approaching the challenge, so they have to have the time before the challenge to explore and hear valuable details about the situation and setting. The first alternate example I gave would be about where you would start framing a sim scene. The key to framing a sim scene is to describe the player characters' situation in the few minutes or even hours before the interesting scene starts, and then give the players a reason to start it. This reason is the hook or dramatic question of the scene. The players will probably have their characters take all kinds of actions to set things up so that they can overcome the challenge presented by the hook. Having plenty of time gives them more options than threshold framing (below), so you can expect a lot of activity to go on before they get to the meat of the dramatic conflict. Sim scene framing was very common in old school D&D, as well as a lot of 1990s games that focused on supernatural heroes in the modern world. It allows the players to show off cool magic powers that can take over and resolve conflicts, like in a modern fairy tale or occult thriller story. With the old school revival (OSR) and the return to high-sim encounter design in 5th edition D&D where monsters are given locations and the PCs are able to approach them slowly and cautiously, this style of play is coming back. Sim scene framing allows the player characters to become overwhelmed quickly if they put a foot wrong. Consequently, sim scene framing is also great for horror games. In horror RPGs, the players are conspiring with the GM against their own characters in a way, because part of the fun is reading the ancient tome, opening the sarcophagus, or going outside to see what that strange sound was. Aside "MACRO_01": In 2002 or so, I was in a 3rd edition D&D game where the rogue in the group actually programmed a graphing calculator to process the die rolls for all the hyper-cautious tasks you did for every stretch of hallway and every door you encountered. So now I can't play an old school style D&D game without thinking about "MACRO_01" every time we approach a closed door in a dungeon. The player just pulled out the calculator and said "OK, I walk up to the door and MACRO_01." This is the danger of using too many sim scenes: Typically the stats of RPG characters and even parties are all built to specialize in a specific set of tasks. Once the party determines what those strengths are, they use the same approach to as many different kinds of problems as possible, to make sure they have a system advantage. This isn't unrealistic: Real people do this, too. You play to your strengths. But it can get repetitive if every scene is a sim scene. Very common in the post-2000 editions of D&D, threshold framing is when you begin a conflict or other encounter with indeterminate outcomes right before the conflict or complications take place. In D&D, it places the player characters literally on the threshold. The example text from the D&D Basic Rules, above, is threshold framing. The PCs are literally placed on the threshold of a rickety drawbridge. Crossing the bridge safely appears to be the challenge of the scene. The advantage of threshold framing is that it gives the players a chance to avoid the conflict in creative ways, but also skips most of the cautious over-planning that can bog down a fast paced heroic adventure if you use too many sim scenes. But that depends on the group's preferred style of play, too. The example players could climb down into the gorge, walk a mile, then climb back up out of sight of the bridge and its hidden dangers. Or they could shout a greeting across, and ask to be invited in. They could fight their way across, or sneak across, or bluff their way across, or hide and wait for other visitors. When you skip the threshold and drop the players right in the action, it's commonly called "cut to the chase" or "in media res" (in the middle of things, from Greek theater). The important part is to skip to where the players are in an exciting action sequence, and the dramatic question is not resolved. But the chance to decide to avoid the action sequence has passed. The players are denied that opportunity. Director (GM): OK, let's get started for the session. As you recall, you were looking for the thief who stole the hard drive. You tracked the thief to the middle of a busy Istambul souk. The target spots your approach and leaps onto a motorcycle. You can't let him get away with the hard drive! What do you do? Daniel (Playing Agent 007): I draw my gun and look around for a bike to commandeer, myself. Can I get a clear shot? Naomie (Playing Moneypenny): I bash out the windshield of the truck and try to follow, and then I radio back to Vauxhall to coordinate tracking. Dungeon Master (DM): You're crossing a drawbridge over a wide chasm that disappears into the deep fog below. The road beyond the bridge leads to an arched entrance to the courtyard of Castle Ravenloft, which towers before you. A rotting wooden portcullis, green with growth, hangs in the entry tunnel. Beyond this, the main doors of Castle Ravenloft stand open, a rich warm light spilling into the courtyard. Suddenly, Riva the elf cries warning, and the chains of the drawbridge creak in the wind, their rust-eaten iron straining with the weight as you dive to the decking: Gargoyles! From atop the high strong walls, stone gargoyles dive at you, their hollow eye sockets suddenly alight with green flame. The winged creatures pass above you, and would have toppled you off the bridge without the elf's warning! They're wheeling about for another pass. You've got to try to get the party across without being knocked off - but how? Gareth is the first to recover his balance on the wobbly bridge. Phillip, what does Gareth do? The bold section in each example communicates the dramatic question. The DM is stating it so it's clear that the players have a choice. Perhaps they'll use magic, or they'll sprint across, or they'll try to scare the gargoyles away, or they'll take out bows, or they'll try to intercept them and force them to fight in melee. The DM has made it clear there are lots of options, but they have to think fast. Another important aspect of such aggressive scene framing is that the DM should assume that everything the player characters did while the fast forward button was advancing was a sparkling success. Note how Riva spotted the ambush in time. Aggressive scene framing is not for every group. You have to have a lot of trust in and among your players to be able to pull off aggressive framing, and even them some people just don't like it. If you find you screwed up and framed the scene too aggressively for your players, just walk it back. If the players objected to the D&D in media res example, the DM might say "OK, so where would you like to start? How about just before you go out on the bridge?" Even if your group is a trusting, experienced troupe full of players who like the idea of aggressive "cut to the chase" framing, it's not always the best way to start a scene. When pacing a session, if you start with all-out action, you can't go up from there. Some games (Feng Shui, for instance) might work well with that. But most other kinds of stories need pacing that builds to a fast-paced climax. You might want to start Act 1 with more conservatively framed scenes, then drop some in-your-face tightly-framed action in for Act 2. To avoid trust problems, back off and use something like threshold framing (which cuts to right before the chase) for twists, big scares, and tragic scenes. You never want your players to feel railroaded into those.